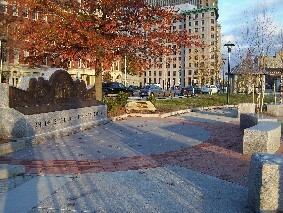 A commemorative Mass was celebrated	at the Cathedral of Sts. 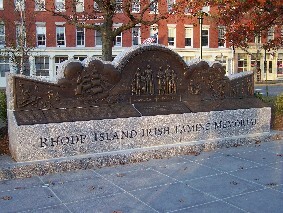 Peter and Paul in Providence, followed by the dedication of the Rhode Island Irish Famine Memorial. 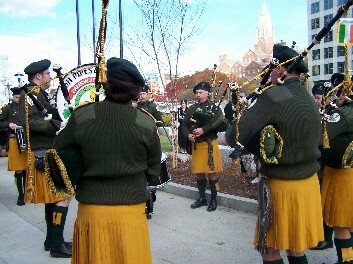 The Newport Ancient Order of Hibernians Pipe and Drum Band led the procession into the cathedral as well as opening the dedication ceremony at the site. 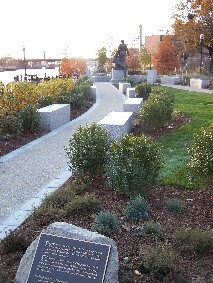 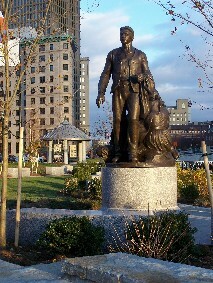 The Famine Monument is located at the Providence Riverwalk. 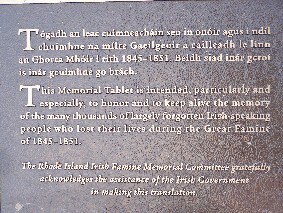 The Narrative Wall tells the story of tragedy and hope that brought so many Irish immigrants to American shores. 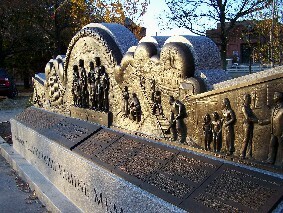 To read the messages on the wall, go to the Historical Narrative section.